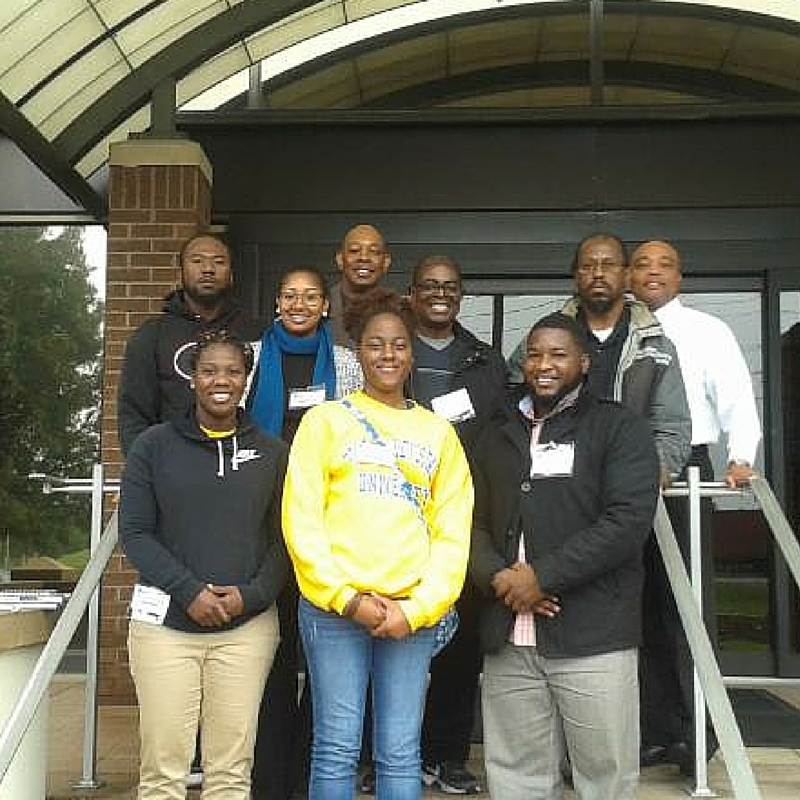 December 11, 2015 – Six Fort Valley State University students — Teris Dixon, Nicholas Finley, Antionna Jefferson, Tanisha Leonard, Willie Mitchell and Norman Whittington — recently took a trip to a major United States port to learn about future career opportunities in supply chain management. The group visited the Georgia Port Authority facility in Savannah, Ga. on Nov. 9 as part of the Warehousing and Terminal Management class. They were accompanied by their instructor, Dr. Samuel Gyapong, chair of FVSU’s Department of Business and Economics, and David Salone, an FVSU supply chain logistics management instructor. The group was received on arrival by Stacy Watson, general manager of economic and industrial development for the Georgia Port Authority. He took the group on a bus tour of the facility to see several functional areas of the port and the equipment used for loading and offloading of ships. The students also viewed the loading of a container ship in progress and saw a leaded ship leaving the port. They also learned how arriving or departing containers are scanned for illegal goods using infra-red scanners. There were acres of containers either awaiting shipment or waiting to be scanned prior to being loaded on ships. After the tour, the group was taken into a conference room in the office building, where Watson gave a 45-minute presentation tracing the history of the port through its development stages to the current status of the port as the 4th largest container seaport (in volume of import and export traffic) in the United States.